On July 29, 2015, the countdown started to run, and we all had exactly one year to upgrade our existing Windows 7 or Windows 8.1 to Microsoft’s newest litter Windows 10 for free. And you can not really say that Microsoft has made it especially hard for us here. So popped up at every start of the computer in the system tray a message, but now please finally switch to Windows 10. And even if the market share of Windows 10 is still a good deal below that of Win 7, sooner or later you will not get around a change. And this purely for safety reasons. Because the support of the old systems will be permanently reduced in the long term. Only what happens if we eventually (eg due to the installation of a SSD hard drive) want to rebuild the operating system? Because the key which we still used before the update for Win 7 or Win 8.1, may no longer be valid after the update! How to read your Windows 10 Key and reinstall your operating system can be found in our article. Of course you will not find the key here in plain text, but in encrypted form. So we need a tool to decode and display the key. 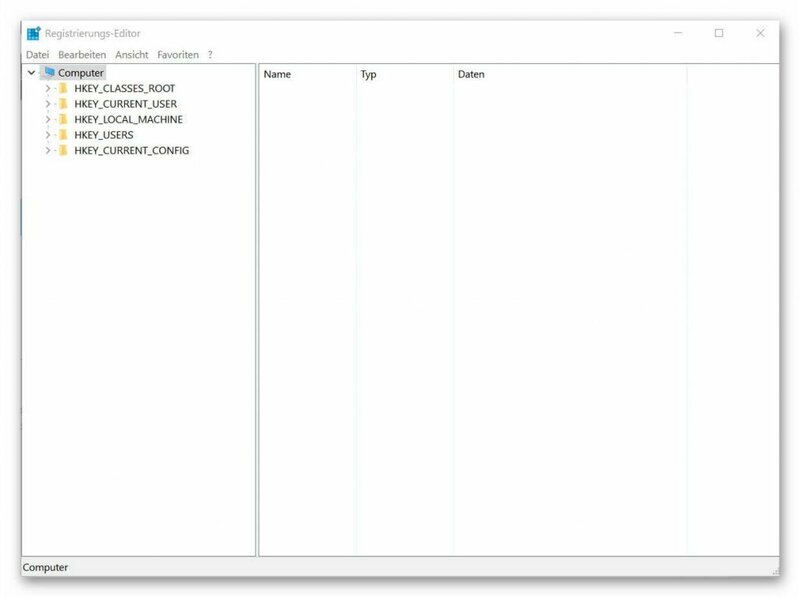 You can simply unzip the exe after unpacking. Start file and then have the opportunity to read all the activation keys that are activated on your system. Computer: LOCALHOST and directly below: HKEY_LOCAL_MACHINE off. 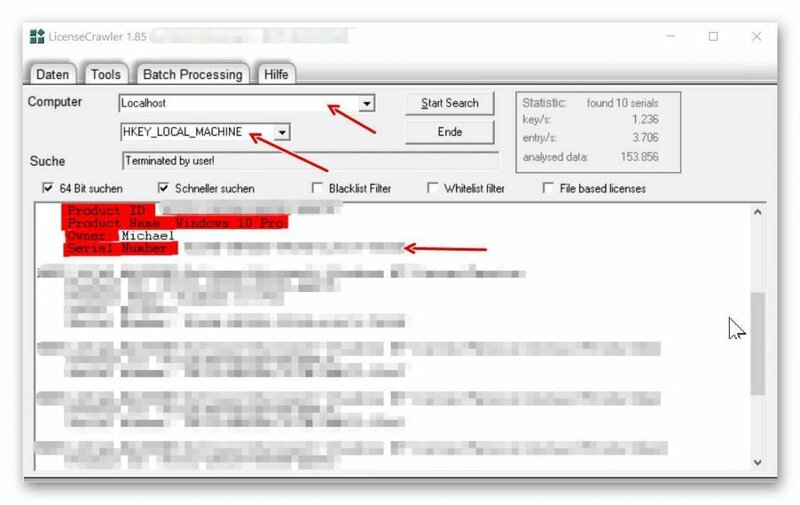 After clicking on: Start Search, the tool starts to search your registry and read the available keys. 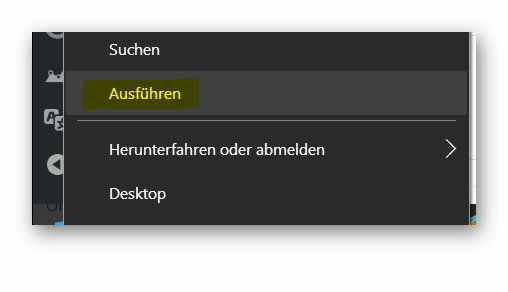 You can complete the search completely, or cancel it manually as soon as your Windows 10 Key appears in the list. 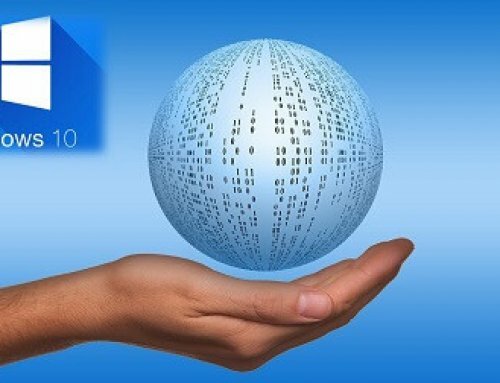 Since we have the procedure done automatically when upgrading to Windows 10, we now of course still lack a disk from which we can make a fresh installation. Simply download the Media Creation Tool here and follow the instructions there to create a bootable media (USB stick, or DVD) to reboot your computer. 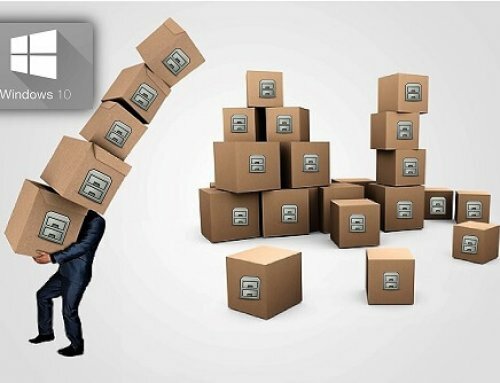 Before you start the reinstallation, be sure to back up all important files stored on your computer! This of course also includes the backup files of Outlook, so your emails and contacts are not at once gone. 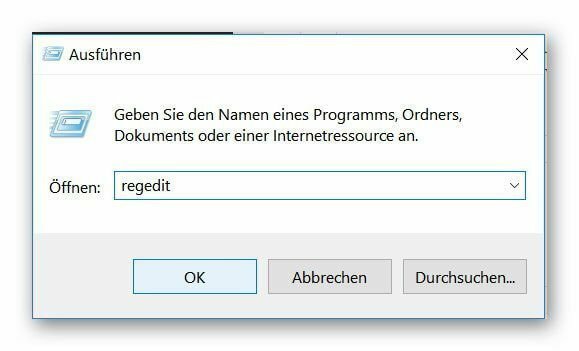 Enter “regedit” in the dialog box and confirm with Enter. Confirm the security prompt from Windows. In order to really understand the entries there, one has to deal with the matter a bit more in detail. In general, however, it is not necessary for the normal user to make changes there. 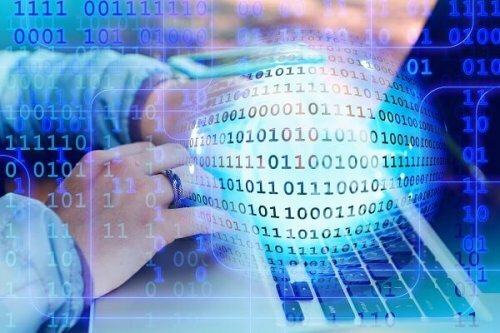 In addition, even without precise knowledge of what one changes degree urgently discourage there to make any settings, since you here basic program settings changed, which may no longer be so easy to undo.